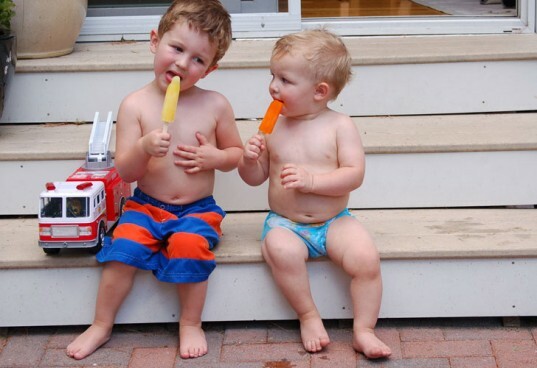 Many kids would argue that there is no better summertime treat than an icy, cool popsicle. But you don't have to give in to store-bought or ice cream truck varieties that are loaded with refined sugar and artificial colors. Ice pops are super easy to make at home if you have your own set of popsicle molds and the right popsicle recipes. Simply blend together whatever fruit, or even veggies, you have on hand. Then pour into your molds and freeze. If you're looking for some delicious ice pop inspiration, keep reading to find 30 homemade popsicle recipes featuring everything from strawberries to chocolate to avocado! Enjoy! 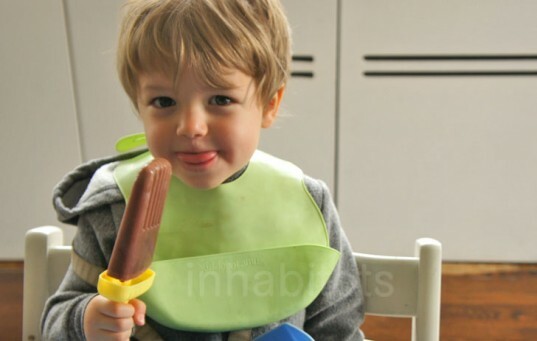 And if you need more popsicle making tips, read our post on how to make healthy homemade popsicles with kids. Strawberry Cherry Lemonade Popsicles: Blend 2 cups strawberries, 3-4 Tbsp fresh lemon juice, 1 1/4 cups pitted cherries and 1/4 cup agave nectar. Pour in molds, then freeze. Strawberry Blueberry Popsicles: Blend 1 lb strawberries, 1/4 cup sugar and 1 tsp lemon juice. Fill ice pop molds half way and freeze for 30 minutes. Then blend 12 oz blueberries, 1/3 cup sugar and 1 tsp fresh lime juice. Pour into the molds to fill, then freeze. 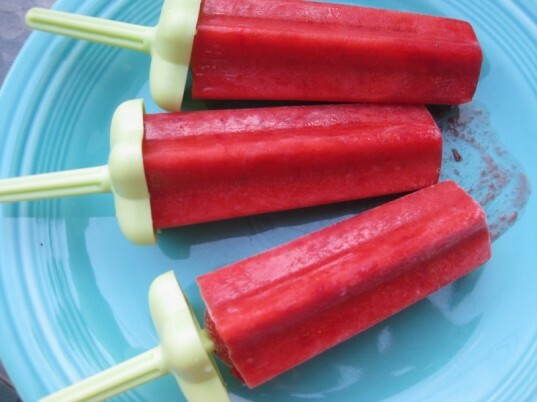 Strawberry Tangerine Popsicles: Blend 1 cup sliced strawberries with 1 cup tangerine juice. Pour into molds and freeze. Triple Berry Popsicles: Blend 2/3 cup sugar, 1 cup blueberries, 1 cup strawberries, 1 cup raspberries and 1/4 cup fresh lemon juice. Pour in molds, the freeze. 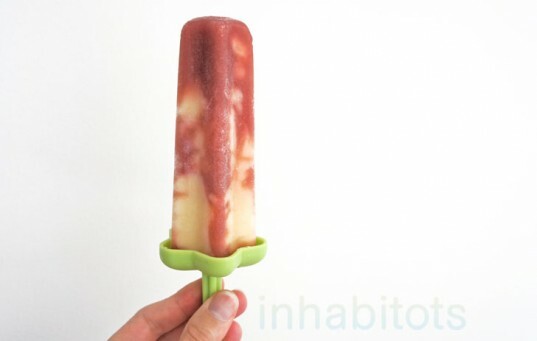 Peach & Strawberry Popsicles: Puree 2 ripe pitted peaches, 1 cup strawberries, 2 Tbsp honey and 1/2 cup milk. Pour into molds and freeze. Strawberry Apple Popsicles:Blend 1 quart strawberries with 1/2 cup apple juice. Pour in molds and freeze. Kiwi Popsicles: Blend 8 peeled and sliced kiwis, 1/2 cup water, 1/4 cup honey and a pinch of salt. Pour into molds and freeze. Honeydew Lime Popsicles: Stir 1/4 cup sugar into 1/4 cup water to dissolve. Blend 1 ripe, chopped and seeded honeydew melon with 2/3 cup lime juice and the sugar-water mixture. Pour into molds and freeze. Lemon Raspberry Popsicles: Puree 1 cup raspberries. Pour into molds and fill the rest of the way with lemonade. Freeze. Watermelon Lime Popsicles:Blend 2 cups chopped and seeded watermelon with 2 Tbsp honey and the juice of two limes. Pour into molds, then freeze. Pina Colada Popsicles: Blend 2 1/2 cups chopped pineapple, 1/2 coconut cream, 1/2 cup coconut milk, 3 Tbsp shredded dried coconut and 1 Tbsp agave nectar. Pour in molds, then freeze. Mango Popsicles: Puree 2 peeled and chopped mangos, 1 cup rice milk and 1 Tbsp honey. Pour into molds, then freeze. Mango Coconut Popsicle: Blend 1 1/4 cups chopped mangos, 3/4 cup coconut milk, 1 Tbsp sugar and 1 Tbsp lime juice. Pour in molds and freeze. Pineapple Popsicles: Blend 1 cup chopped pineapple with 1 cup unsweetened pineapple juice. Pour into molds and freeze. Mango Banana Popsicles: Puree 4 ripe peeled and pitted mangos, 2 medium bananas and 1 1/4 cups fat free milk. Pour into molds. Freeze. Pineapple Orange Banana Popsicles:Puree 2 cups chopped pineapple, 3 bananas and 2 peeled oranges. Pour into molds and freeze. 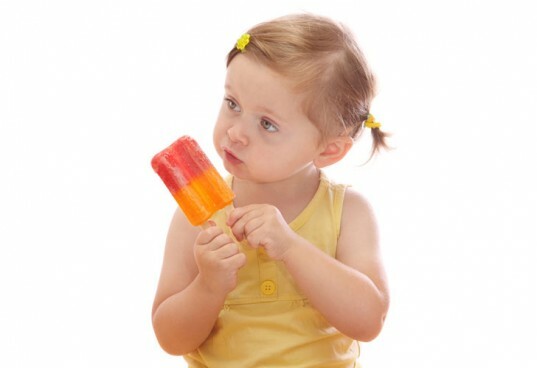 Apple Grape Popsicles: Mix 3 cups organic applesauce with 1 cup frozen grape juice concentrate. Pour into molds and freeze. Watermelon Popsicles: Cut a watermelon into chunks and puree it them in a blender. Pour in molds, then freeze. Watermelon Lemonade Blueberry Ice Pop: Blend 2 1/2 cups of cubed, seeded, watermelon with 1/4 cup sugar. Pour into molds about one third of the way and freeze for 30 minutes. Blend 1/2 cup water, 1/4 cup sugar, 1/2 cup fresh lemon juice, 1/4 cup orange juice and 1/4 tsp vanilla extract. Pour into molds over the watermelon mixture, and freeze. Then blend 2 cups fresh blueberries, 1 cup water, 5 Tbsp sugar and 1 tsp fresh lemon juice. Fill the molds. Freeze. 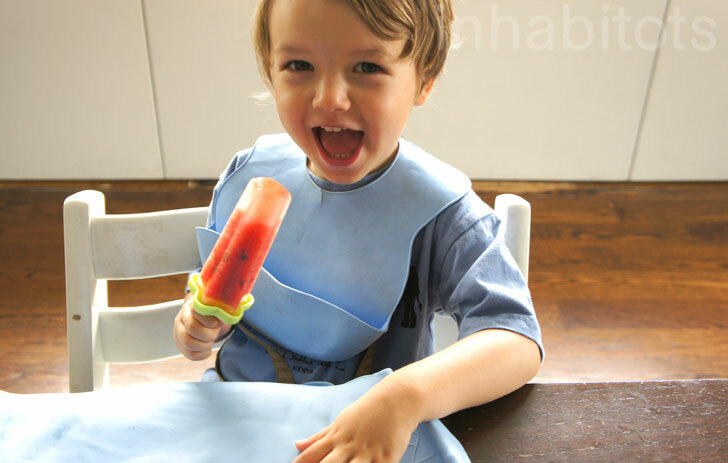 Apple Rhubarb Popsicles: Puree 2 cups diced rhubarb with 4 ounces of organic apple sauce and 2 tsp sugar. Pour in molds and freeze. Blueberry Honey Popsicles: Blend 1 cup blueberries, 1 Tbsp honey and 1 cup soy milk. Pour into molds and freeze. Tutti Fruiti Chocolate Popsicles: Blend 1 large banana with 4 ounces low fat, unsweetened coconut milk. Fill molds leaving a little room at the top. Freeze for about 1 hour. Then add raspberries and chunks of dark chocolate evenly throughout. Add sticks and freeze. 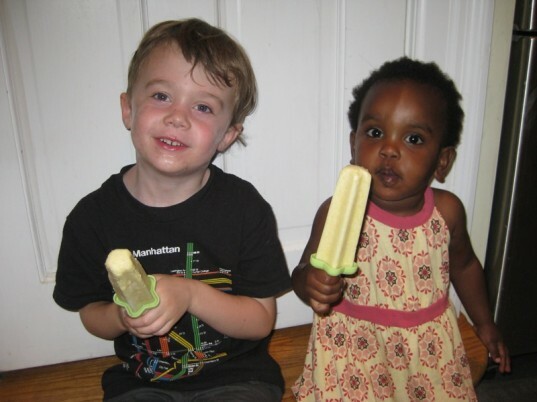 Chocolate Coconut Popsicles: Heat 1/2 cup water, 6 Tbsp sugar and 1/8 tsp salt in a saucepan until sugar dissolves. Remove from heat and whisk in 4 ounces chopped semi-sweet chocolate until melted and smooth. Whisk in 1 cup coconut milk and 1/4 tsp vanilla extract. Let cool to room temperature. Pour into molds and freeze. Gluten Free Chocolate Almond Butter Popsicles: Blend 2 large bananas, 1/4 cup creamy roasted almond butter, 1/4 cup water, 2 Tbsp cacao powder, 1 Tbsp vanilla extract and 1/4 tsp Stevia. Pour into molds and freeze. Avocado Popsicles: Mix 1 cup water and 1/2 cup sugar in a saucepan, bringing it to a boil until sugar dissolves. Let cool to room temperature. Then mash in 2 small avocados, a pinch of salt, 2 Tbsp lime juice to the sugar-water mixture. Pour into molds. Freeze. Sweet Potato Popsicles: Blend the flesh of 3 cooked sweet potatoes, 1/4 cup apple juice, 2 Tbsp honey and 1/2 tsp cinnamon. Pour into molds and freeze. Electric Green Popsicles: Blend 3 ripe bananas, 1 medium pineapple, 2 cups spinach and water to reach a smooth consistency. Pour into molds and freeze. Cucumber Mint Popsicles: Blend 1 peeled and seeded cucumber, 1/2 cup mint simple syrup and the juice of 1 lemon. Pour into molds and freeze. Red Bean Popsicles: Blend 1 cup of red beans, 2 cups coconut milk and 1 to 2 cups of evaporated organic cane juice. Pour into molds. Freeze. Carrot Cake and Almond Butter Popsicles: Puree 4 large cooked carrots, 3/4 cup coconut milk, 1/4 cup almond butter, juice from 1/4 lemon, cinnamon, ginger, salt and a touch of honey. We finally -- finally! -- ran out of the massive box of popsicles I'd bought at Costco last year. So this year I picked up a popsicle mold, but was really disappointed with how blah it was making popsicles from plain juice. I'm definitely going to try some of these recipes. Thank you! These are great ~ thank you so much for posting!